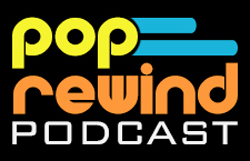 Pop Rewind — Corn Pops: Gotta have my angst. Corn Pops: Gotta have my angst. Yep, that’s Jenny Lewis of The Wizard fame… and other things. That’s pretty much the formula for every commercial. Someone misses out on the last bowl of Corn Pops and they have a mental breakdown. What happened to these characters as they progressed in life? Can you imagine the outburst over a flat tire? Do they go through this same mental catastrophe every time someone beats them to the copy machine at the office? Do any of them understand what a second choice is all about? Sister: You seen the Pops? Brother: Yeah, I just ate the last bowl. Sister: Oh, okay. I’ll just have Apple Jacks instead. Well, you get the idea. Also, I’ve never seen a Jaws film. 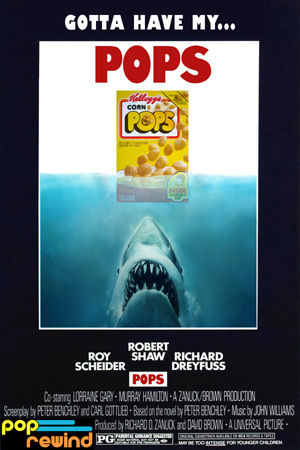 Since the Corn Pops commercials made great use of the Jaws theme, I think that would mess with me if I finally saw one of the movies. People are running away, jumping overboard, and screaming. The shark comes out of the water and takes a bite out of the boat. Why? Because there was a box of Corn Pops on board. The shark’s fin disappears in the distance with the caption “Gotta have my pops”. How can you feel sorry for people that took the shark’s last bowl of cereal? Can you imagine if it were the other way around and Jaws movies borrowed elements of the cereal commercials? There could have been a theme park ride based on this concept! 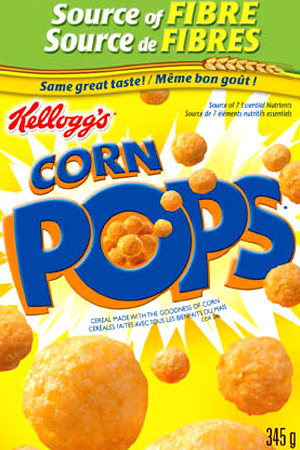 If anyone has reason to get upset over Corn Pops, it’s people who live in Canada. The Canadian version is a completely different texture, with round pieces similar to Kix cereal. If I were denied the privilege of the crispy inconsistently flat shapes, I’d probably burst into an angry internal monologue, too. You’re gonna need a bigger bowl? Well, that’s pretty much everything I have to say about Corn Pops. LOL, I remember those commercials vividly. I don’t know why, but I didn’t even realize they used the Jaws theme. Kinda messed up actually! And oh my gosh, that’s Jenny Lewis form The Wizard movie with Fred Savage!